Blake has been with us for 12 years now and is originally from Leitchfield. He resides now in Elizabethtown and is married with two kids, Emma and Nolan. Blake enjoys everything sports and enjoys going to the lake.. Blake has over 17 years experience in sales. Blake loves people and his number one goal is to help people get into that vehicle that will fit their wants and needs. All of his friends and family call him " BIG RED" so feel free to give BIG RED a chance to help you and your family. 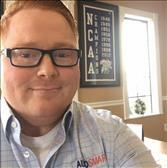 As the business manager, I've been serving the community with AutoSmart for 8+ years. I pride in helping the citizens of Grayson County and surrounding areas meet their automotive needs. The growth and expansion of Leitchfield is important to me which is why I take each and every customer seriously and give them the respect that they deserve. Here at AutoSmart we specialize in sales and solutions for all credit situations, come see me today to learn what we can do for you!